Peter Baron has had a sequence of big names in the #11 Riley Pontiac during 2006, and now he’s signed another one – this time for the full 2007 season. 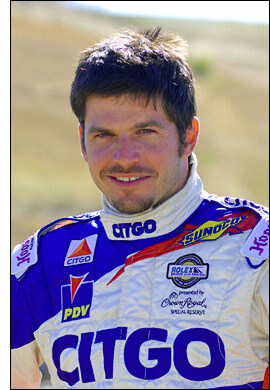 Patrick Carpentier is the man, the Las Vegas-based Canadian having raced the car once already, with Milka Duno, at Infineon Raceway in August (below). They finished seventh there, Carpentier also having tested the car at Daytona last month. "This is a tremendous opportunity to race with one of the top teams in the Rolex Series,” says the Canadian. “I have known Peter Baron since my Atlantic racing days and I felt right at home the first time I raced with them last August. I also tested with them a month later and came back more impressed than ever with their professionalism. I'm really looking forward to our next test session in November." "We are absolutely thrilled to sign Patrick for the season," said Peter Baron. "Pat has a long history with many of our team members, including working alongside engineer Steve Challis at Forsythe [Championship Racing]. We tried a few times to get him in the car last year and finally had the opportunity at Infineon. The fit was amazing – it felt like he had been with us all season. Before the first day together was over, we were already speaking about plans for '07. 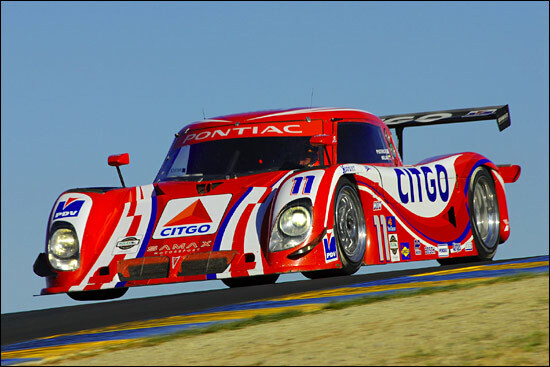 We were further impressed with Pat's ability to convert to driving a flat-bottomed prototype. At the conclusion of our test in September, Pat's ability to get everything out of the car and communicate effectively with the engineering team gave us some fantastic results that we are really looking forward to building on for '07." SAMAX Motorsport and Carpentier will participate in the Rolex Series test at Daytona International Speedway on Nov. 6 and 7, in preparation for the season-opening Rolex 24 At Daytona in January.